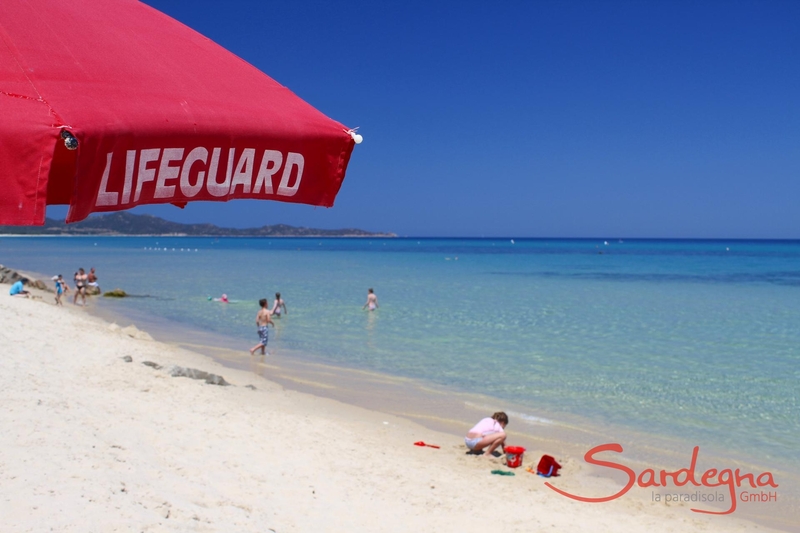 Cala Sinzias is a family-friendly, idyllic beach that stretches 3 kilometres along the south-east coast of Sardinia. 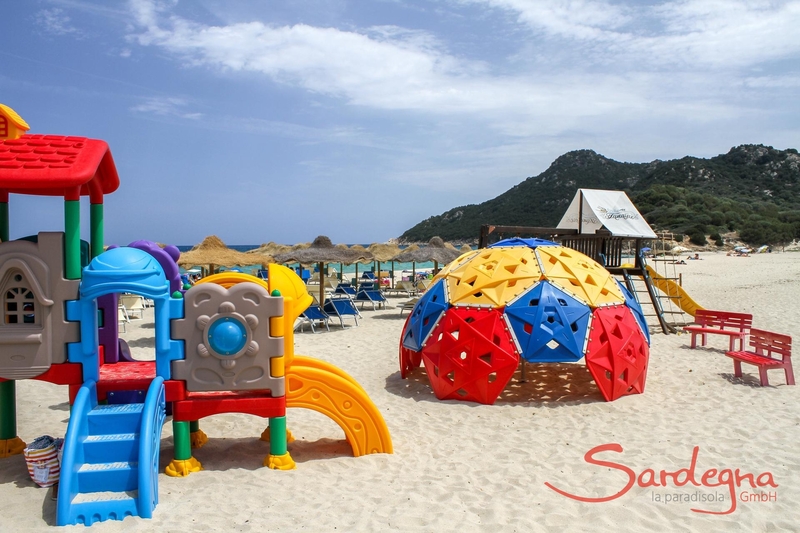 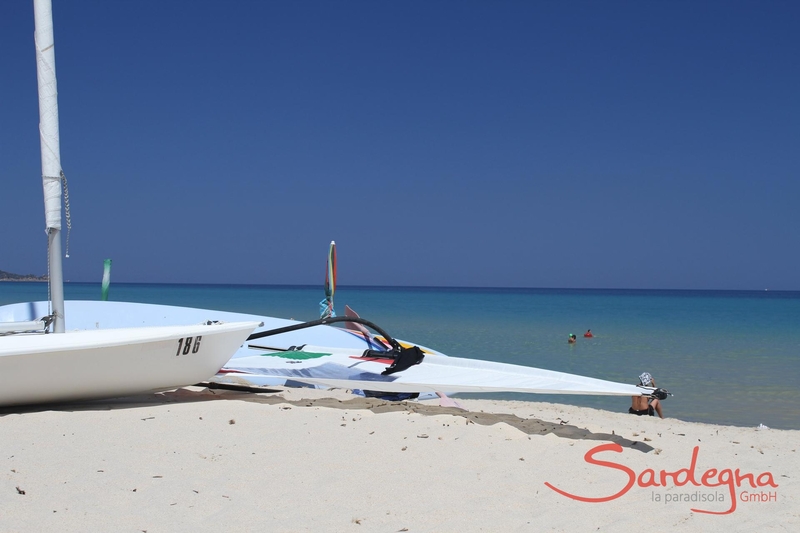 Its light, fine sand meets the sea on a beautifully flat plain, making it ideal for small children. 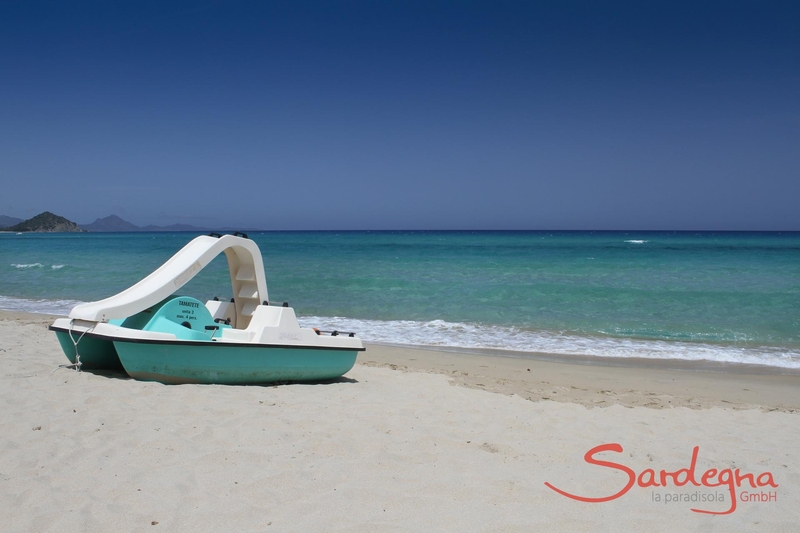 From areas with lounger hire to quieter corners, everyone will find their perfect spot here. 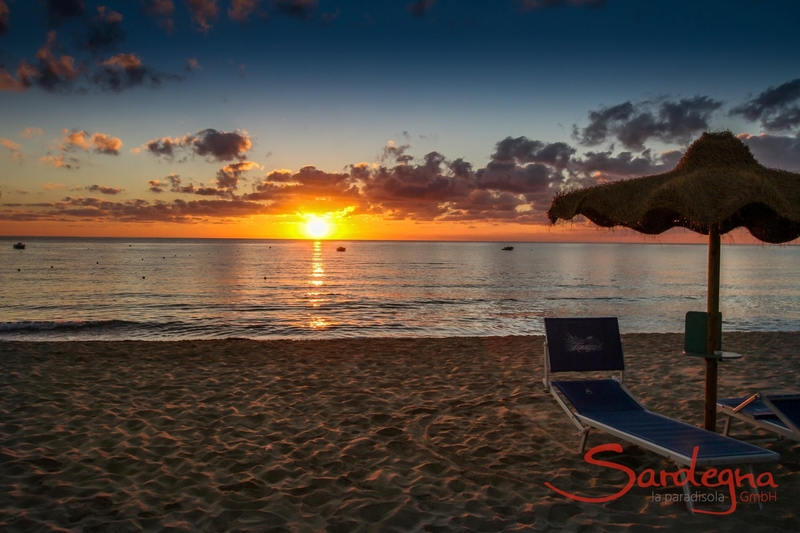 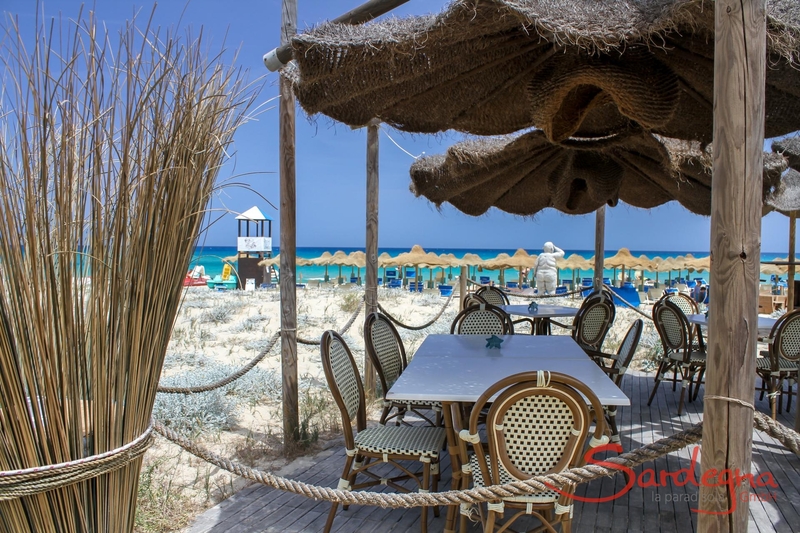 Cala Sinzias has a range of attractive bars and restaurants – those who like quieter surroundings and aren’t fussed about hiring a lounger should head to the south end to the bar Lido Tamatete. 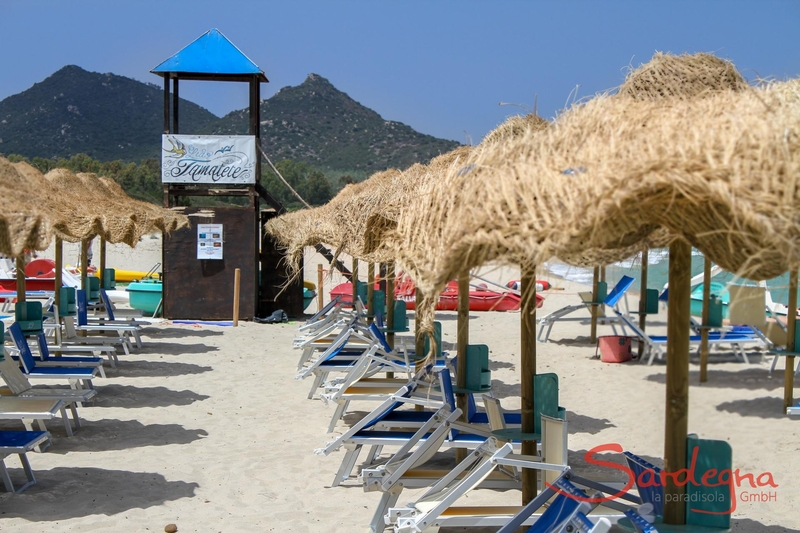 At the north end, Sant’Elmo awaits with an equally picturesque beach. 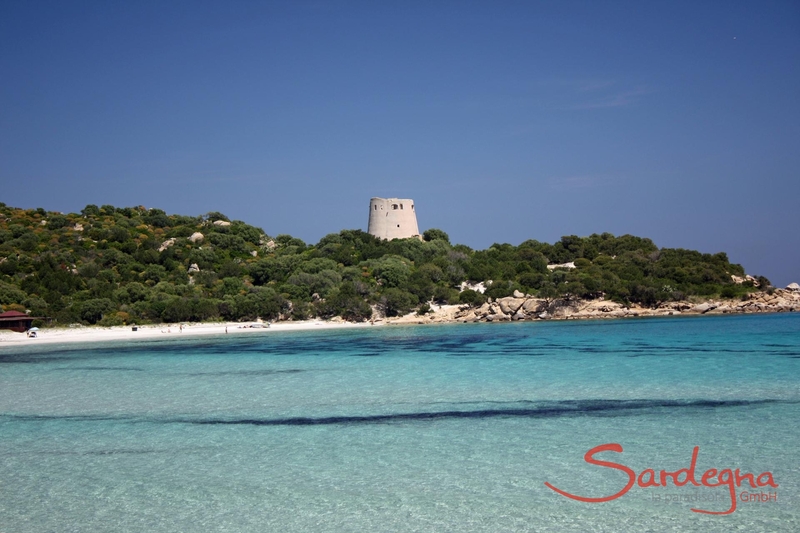 Cala Sinzias is easy to reach by car. 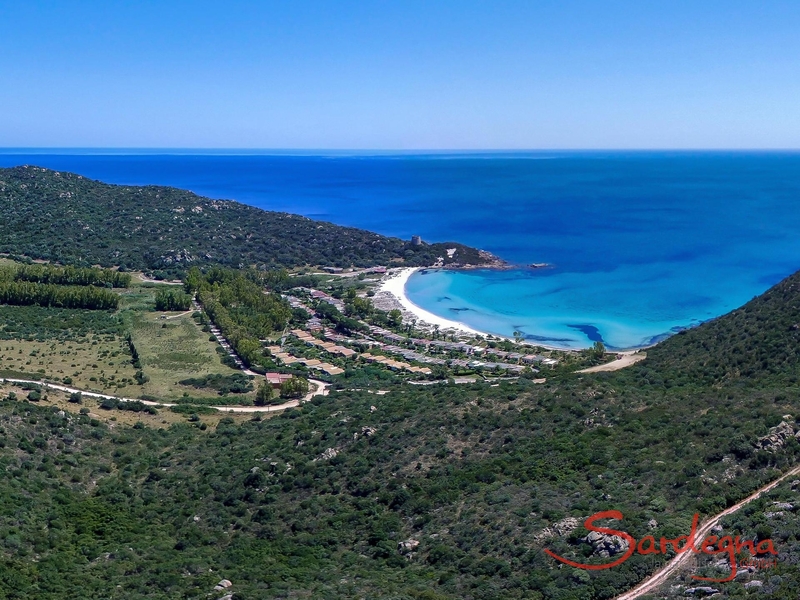 Various public car parks are available (subject to a charge) along the SP18, from which the beaches can be reached by following little trails through maquis shrubland. 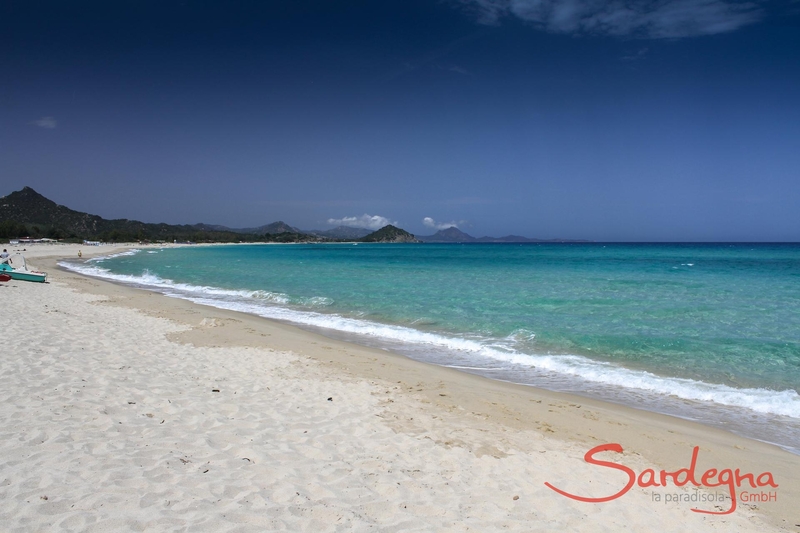 The bus lines 101 and 135 both run almost to the beach. 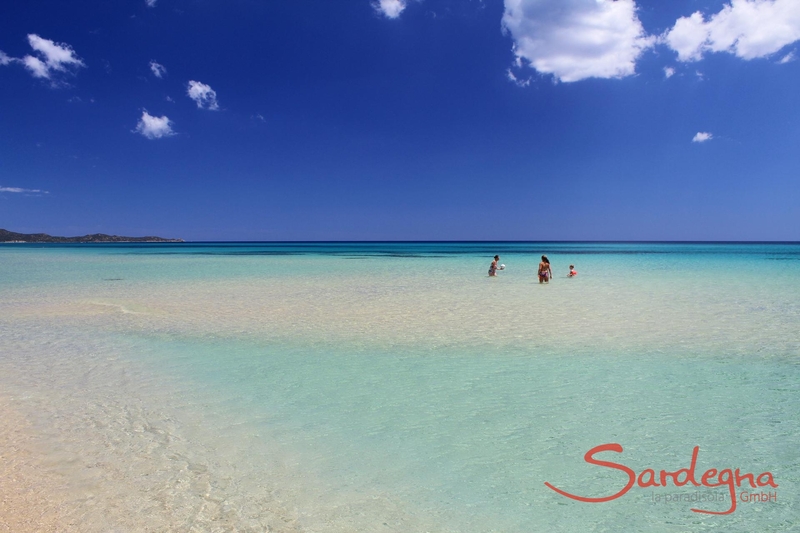 The small sandy bay lies below Cala Sinzias and charms with its subtly pink shimmering sand. 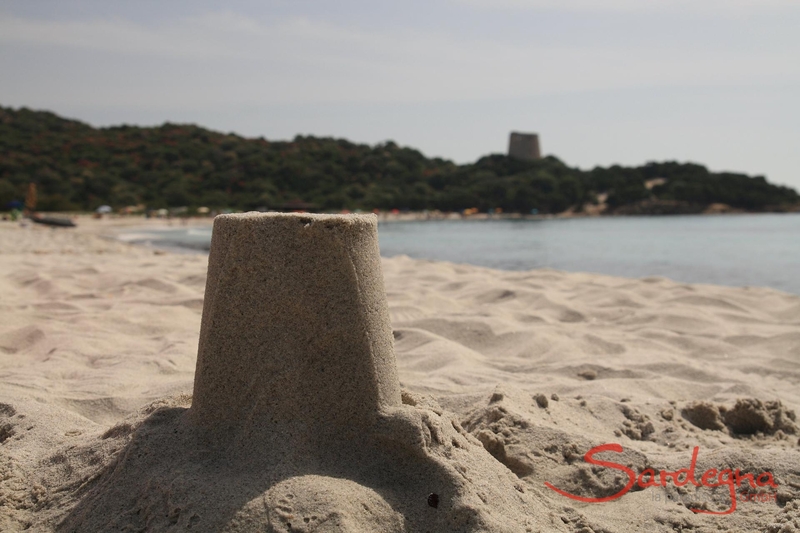 A beautiful Saracen tower fringes this gem, and is also ideal for families with children.